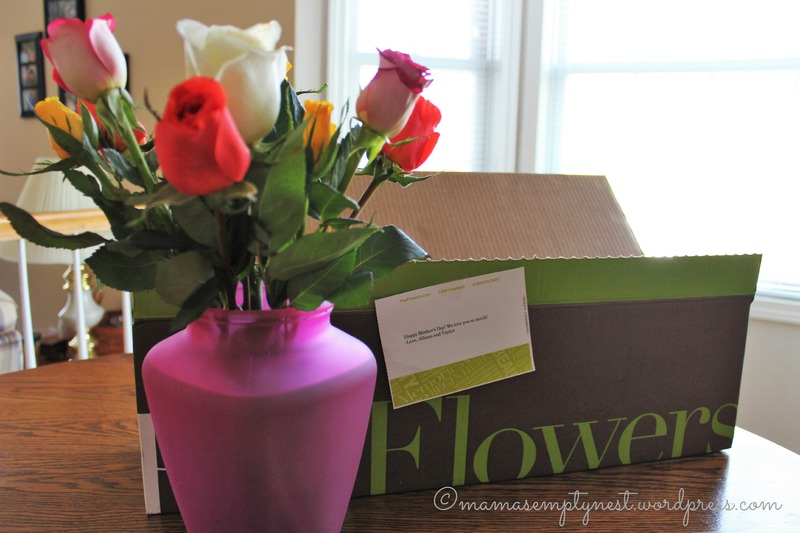 You know this blog is named Mama’s Empty Nest, right? Way back in 2010 when I launched this blog, that was my current state of affairs. My nest was empty. I was feeling discombobulated entering a new season of life. Our youngest graduated from college and began his career in a state next door, and our other two offspring were already established in their careers and living away from home. Three of the four bedrooms in this house were empty – oh, there were still beds and stuff in them, but the three children who inhabited those rooms were off on their own. The fledglings had all flown away from the nest. It took me some time to work through all the emotions and sense of loneliness and yes, even loss. But Papa and I muddled our way through it, supporting each other as we always do, no matter what. So the empty nest has been my thing for several years, but I have a confession to make to you readers who don’t know me personally. Mama’s Empty Nest hasn’t stayed empty. For the last couple of years, this empty nest was a little fuller. Something very painful happened to our middle daughter. I’m not willing to share details so publicly about what transpired, but suffice it to say a distressing occurrence changed her life in a blink of an eye. Shattered dreams became a new reality. Happening on the cusp of just becoming a new mother to her very first child, it was an emotionally charged and heavily draining event, full of betrayal, anger, sadness, and even depression. Because we are a close-knit family, it took its toll on all of us. But also because we ARE a close-knit family who relies on the almighty and omnipotent God, we’ve become even closer despite the struggle. We have cried together, we have prayed together, we have hoped for the best together even when it looked like a good resolution would not actually happen. And it didn’t. So we rallied together when daughter needed help to pick up the pieces of her life that were broken and splintered causing so much pain. She and baby girl came to live with Mama and Papa in this cozy nest we call home. This place where they could be sheltered, nourished, and in time, emotionally restored with the love of her family, but more importantly with the healing balm of a Savior’s love and provision. It’s been a long journey for her. An upheaval with so many changes. Sacrifice even. Discovering a new dream for her future. But there is light at the end of the tunnel as she moves forward. She has found a new home to call her own. A place for her and her wee one to put down their own roots firmly yet branch up and soar into the future. Soon we will send her off with blessings and thanksgiving and this nest will once again be empty. I am so grateful that we could help her, so grateful for the opportunity to have both her and our granddaughter live with us temporarily. I’m so thankful for our family and close friends who prayed for and supported her during this time. And I’m so very thankful for the God of mercy and grace who walks us through life’s difficult journey. It’s the first day of March, so it seems appropriate to proclaim another kind of first. Actually here at Mama’s Empty Nest, it’s been a year of firsts. Last month, we celebrated one of those firsts – our grandbaby’s first birthday. I know it sounds trite, but truly it is hard to believe a year has come and gone since that amazing day when Papa and I became grandparents (PaPa and Nana) to our very first grandchild. And what a year of firsts it has been ever since! First of all, I never realized how much unconditional love can swell up inside your heart until it feels like it might just explode when you lay eyes on that first grandchild of yours. Friends who were already grandparents tried to explain it to me but I just didn’t get it…not until I held that little bundle of pure joy in my own arms. And then there’s the firsts of watching that tiny baby becoming her own person. Every milestone a grandbaby achieves, every first from the first smile to the first step fills your heart with so much love, joy, delight, wonder, the list goes on…it’s pretty indescribable. And being a special Nana to our little darling has exceeded my wildest expectations. When she reaches for me with her tiny little arms, I melt. When she gives me that adorable toothy grin, I melt. When she curls up in my lap to read a book together, I melt. When she giggles and squeals, I melt. When her eyes light up with excitement, I melt. When she learns something new and we clap our hands right along with her to celebrate her achievement, I melt. When she toddles all over the house with those cute little baby steps, I melt. Often I just gaze at her in wonder…and I melt. And sometimes tears come to my eyes when I realize how overwhelmed I am with love for this adorable little human being. With so many firsts crammed into this first year of baby’s life, her mama just had to celebrate by holding a first birthday party for her. Family and friends gathered together for her ‘Winter One-derland’ celebration one Sunday afternoon in February, the month our little snowflake turned one year old. Her aunties and uncles on her mama’s side traveled from miles away just to celebrate this first birthday with the baby niece (their first) who has captivated their hearts as well. And even though it was one frigidly cold winter day, our hearts were made warm watching baby girl dressed in her frilly pink, lavender, pale blue, and white tutu (made by her mama) enjoy her first big party in her honor. You might say this Nana’s heart was one big melted puddle. And that wasn’t the first time. New Year’s Eve. For most people, it’s a time to look back over the departing year and look forward to the year arriving in a few hours. Kind of like taking stock of your situation. What were the high points of the year that you will never forget? And if you’re like most of the human race, there were also low points that made an impact on your life too. Looking back over 2015, I can honestly say it was one of the most wonderful years of my life and yet at the same time, it was the most difficult one as well. The high point? Oh, no question about that one. It was the birth of our first grandchild. She is our shining jewel, our delight, and she brings such joy, happiness, and laughter into this empty nest of ours. Every time I look at her, overwhelming love swells up in my heart and overflows in a kind of bliss that I’d almost forgotten – that kind of love I felt when I held my own babies in my arms. 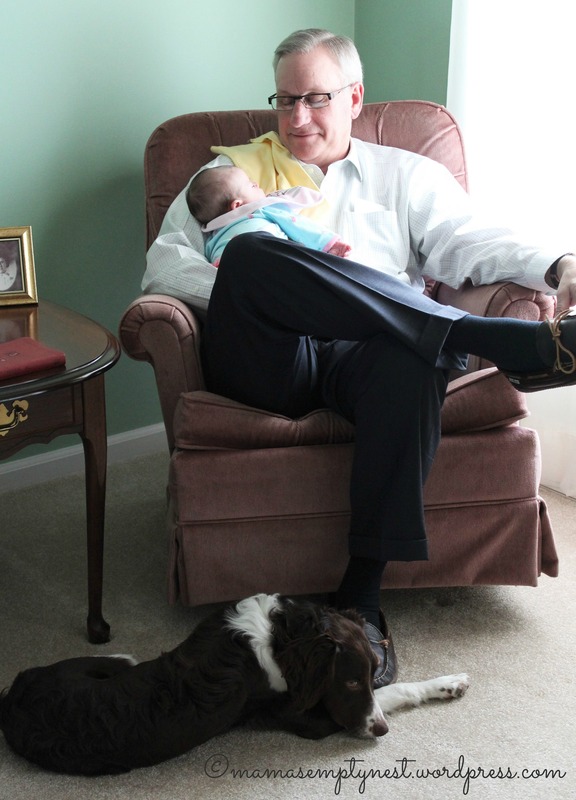 But in addition to the elation of becoming grandparents, this year brought great sorrow. A crisis affected us dramatically causing my emotions to fly all over the map from anger and hurt to disappointment and disgust and everywhere in between. The turmoil and pain caused by it affected our entire family. Months later, Papa and I still don’t understand the person who caused it or why it happened and perhaps we never will. We simply are supporting and helping the wounded one recover and move on with life. So 2015 proved to have a split personality – one ever so amazing and one so very dreadful – and will go down in the books as one of the best and worst years of my life. I can’t say that I’m sorry to see it end and be banished to the history pages of existence. Today I scanned over this year’s blog posts in order to find what I thought was perhaps my best post to re-share it with you. In doing so, I realized that out of the 365 days of this year, I only published 83 posts (counting this one today) and many of those were just photographs. This year stole much from me – time, emotion, and even my writing – and I allowed it to do so. Re-reading the posts I did write, I realized something profound. When I did write, the crisis we encountered proved to outweigh my joy. No more. With the Lord’s help, I am putting a stop to that. I intend to focus on what my Bible tells me – the joy of the Lord is my strength. I am anticipating this New Year with hopeful outlook, with healing for my loved ones and myself, with joyful expectation. I trust you are doing the same. If you’re a long-time reader of Mama’s Empty Nest or even if you just tuned in this past year, you probably know that I became a grandmother for the very first time in 2015. I haven’t posted much in this blog about my adorable grandchild for a couple of good reasons. First of all, I want to maintain and protect her privacy. After reading way too many articles about people abusing social media and stealing photos of children online and a bit of privacy invasion happening to my older daughter (some sicko created a social media account using her name with a stolen photo of her and her baby niece), I decided to limit what I share for all the cyber world to see in both words and photos of my sweet little one. But mostly, even I have a difficult time putting into words the absolute joy my baby granddaughter brings me. Folks tried to forewarn me that becoming a grandparent was like riding a skyrocket of love to the moon and back. I would nod my head and listen but never in my wildest dreams did I imagine the overwhelming love that one feels when a grandchild is placed in your arms. Each and every day, I have the privilege of watching my daughter being the best Mama to my grandbaby – and really, that’s what she is, a grand baby. What does this privilege bring to Nana and Papa’s lives? Oh, so very much. Absolute joy… unconditional love…grins and giggles…excitement and elation….the list could go on and on indefinitely. I just can’t find adequate words to describe what overwhelms my heart when my grandbaby snuggles against me, when I cradle that sweet, downy head in my hand, watching her face light up with that huge toothy grin when she sees me, or when she reaches our her little arms for me. Yes, it’s a love affair. I love my precious grand-daughter and I love being her Nana. And now, it’s the Christmas season. Her very first one. And I’m seeing Christmas again through the eyes of a child. Even though she’s still a baby not even one year old yet, she’s excited about Christmas. Each morning as her mama brings her downstairs after awakening, baby points to the Christmas tree in the living room and tells us in her baby babble that she wants to see the lights. Lighting up the tree brings her joy evidenced by her smiles, happy noises, and when she reaches out to gently touch the tree boughs and what seem to be her favorite ornaments (the ones that jingle make her particularly animated). Next we visit some of the other lighted decorations around the house, the sleigh bells hanging on the front door, her snowman stocking hung on the fireplace, and the nativity scenes nestled in greenery (and more lights!) and gracing the top of the piano. All bring her delight and in turn do the same for me. The shiny outdoor lights adorning our home equally enthrall her. That’s why we decided one evening last week that she wasn’t too young to take her to a drive-through Christmas light display at a county fairgrounds in a nearby town. Scads of other folks decided to partake of the display too and we inched along in a miles-long queue of vehicles waiting to get into the display. Baby got a bit antsy. And so did we. We listened to Christmas music on the radio and sang along as we slowly advanced towards the entrance. Sweet little one loves music so this pacified her for a while. Finally, we paid our way and entered the display which was an intricate light show perfectly timed to Christmas music. Oh, the squeals of delight that filled our car! Since we literally were traveling less than five mph, daughter freed baby from her rear-facing car seat so she could see the displays from her mama’s arms. As vivid lights burst forth on both sides of the roadway, our precious one couldn’t contain her excitement. She laughed, she shrieked happily at the top of her lungs, she pounded her little hands on the car window like she wanted to reach out and grab those brilliant arrays of color. Even though it was getting late in the evening, past her bedtime, and she had been weary and a tad cranky during the long wait (and she wasn’t the only one), all of that disappeared as the excitement of Christmas filled her eyes (and ours). Christmas through the eyes of a child. What a wonderful way to celebrate the birth of yet another child – our Savior come to earth, Emmanuel, God with us. I’m thankful yet again that the Lord blessed us with our own sweet little grandchild. And my heart is grateful for the most precious gift of Christmas, God’s only Son, that baby born in a manger so long ago. 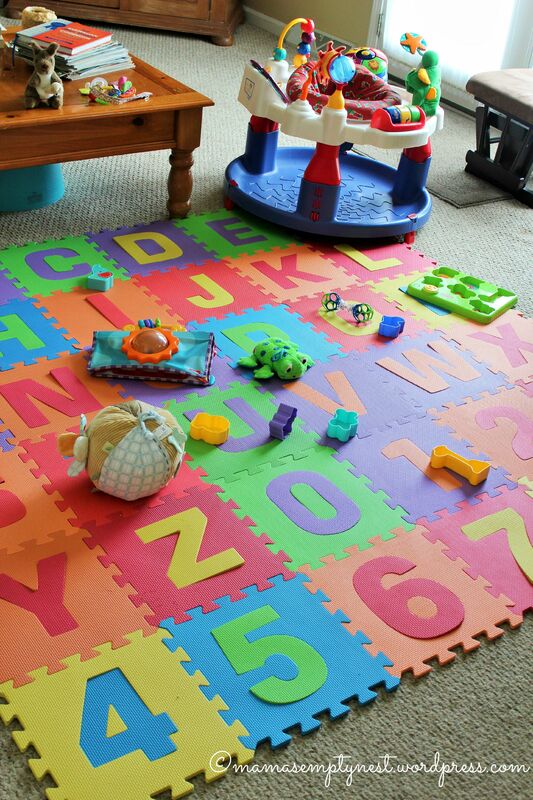 Wordless Wednesday: empty nest or Babies ‘R us? Making a long-lasting memory is like catching a falling star and putting it in your pocket and last night, or I should say early this morning, I secreted a falling star away in my pocket. 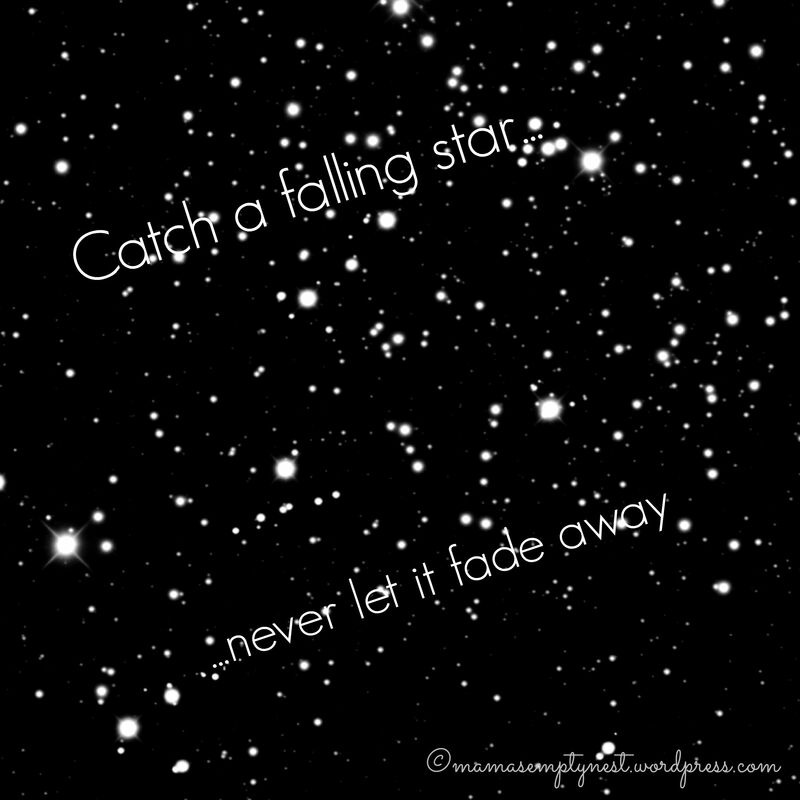 Catch a falling star and put it in your pocket, never let it fade away. I knew hubby wouldn’t take me up on it because he was already dead tired and it was only 10 p.m. Besides he had to go to work today as well. So I was pleasantly surprised when my daughter, who is a sleep-deprived new mom of our six month old grandbaby, said she wanted to witness the meteor shower too. Seriously? Yes, seriously. We agreed when we headed off for bed that I’d set my alarm for those wee hours of the morning and that I’d awaken her to join me on our back yard deck for the show. We all turned in for the night but I didn’t sleep much. Whether I was too excited about seeing the stars or just worried I’d sleep through it, I tossed and turned until I heard my alarm sound. I tiptoed downstairs and opened up our front door. Brrr. One of those crisp, chilly nights reminiscent of fall greeted me. I threw a sweatshirt and sweatpants on over my nightgown, found my fuzzy warm slippers, and entered the bedroom where my daughter was sleeping soundly. Gently calling her name, I half expected her to say she wanted to stay in bed, but she climbed right out of that warm, cozy bed to join her mama in pursuit of a meteor shower. I grabbed the soft fleecy Steelers blanket for her on the way to the deck and my daughter wrapped herself in it. The night sky was absolutely magnificent. Being out here in the country there aren’t many bright lights to interfere with observing the stars on any given night, except when there is cloud cover. But oh, not last night. The heavens were breathtakingly clear, no cloud in sight and the expanse of stars was absolutely awe-inspiring. I honestly don’t remember seeing so many stars lighting up the darkness covering our surroundings. Bright orbs of light even hung low on the horizon giving us the feeling that we were in a planetarium looking up at the starry show. And then my daughter spotted it. The first shooting star. And there. Another one. A quick flash of light and sudden streak. And oh, look there, that one left a trail. We kept count and even though we were only on the deck for 30 minutes, we spied 20 falling stars (and a couple of jet planes too). We talked about constellations and how we wished we knew more of them so we could identify them because the jet black expanse of nighttime was chock full of them. We spoke of how utterly amazing it was that God created the heavens and that He knew how many stars He placed in the sky. And we fell silent thinking that over. And then I sang so softly… “catch a falling star and put it in your pocket…” And my daughter cracked me up with her immediate quip, “Well, that would be kinda hot, don’t you think?” And we laughed and pointed to yet another shooting star. We made a sweet memory to last a lifetime and shared an experience bound with love while we shivered on the deck catching falling stars. A memory to store away in the pockets of our minds to pull out later on those rainy days when life seems so difficult. Shooting stars are blazing bright one moment and faded away into nothingness the next. But the time spend with my middle born child (okay, she’s an adult) will never fade away. And I wouldn’t have traded those 30 minutes of stargazing on the deck with my daughter for anything, not even a pocketful of stars. When it comes to Mother’s Day remembrances, certain recollections float to the surface of the deep pool of my memory. My mother’s birthday was also in May so that merry month brought more than one day of celebrating Mom. I always associated May with flowers because often times we would purchase flats of flowers for Mom’s Mother’s Day gift which she would plant in her flower gardens. Mom loved to garden and she loved her flowers. There were always perennials in bloom in several areas around our yard and she delighted in the annuals she placed in one flower garden, the one with the pretty bird bath in the center. When I was young, Mother’s Day began with attending church which would be packed with families all lined up in the pews with their proud mamas. We ladies, young and old, wore flower corsages on Mother’s Day to show honor to our mothers. In our community, you wore a white corsage if your mother was no longer living and a pink or red one if you were still blessed to have your mother with you. I remember the day my mom wore a white carnation corsage to church because her mother had passed away the previous year. And even though I was small, I proudly wore my pink carnation. My first Mother’s Day was truly remarkable. Forty-five minutes before midnight the night before Mother’s Day arrived, my first-born daughter arrived in this world. Her daddy, a military man, was stationed all the way across the world when she arrived, but even that couldn’t thwart my joy about becoming a mother for the first time just in time for that special occasion. I became a mother twice again and each time that joy increased. Mother’s Day became even sweeter than before. Out of all my accomplishments in life, becoming a mother has been the most fulfilling which came as a complete surprise to me because as a young college girl I had proudly proclaimed I wasn’t going to have children. Oh, the follies of youth. My own mother passed away from cancer over 17 years ago. Just four months prior to that, my mother-in-law, who I loved, admired, and honored for raising the fine man my husband became, also passed away. Mother’s Day that year was so very difficult. I didn’t want to celebrate this special occasion. I opted out of the annual Mother-Daughter dinner held at our church. I just couldn’t even begin to think about the day with any joy. My wise and caring father asked me why I wasn’t attending the mother-daughter event and I told him I couldn’t. I didn’t want to watch all of the happy ladies sitting and enjoying their time with their mothers when I had lost my own. His reply surprised me and I’ve never forgotten his words. He told me he knew the anguish I felt losing my mom. He had felt that way too when his own mother passed away. He said he understood the grief is so difficult and that losing your mother felt like losing a part of yourself. He was so very right. As my dad often was. So even though there is a tinge of sadness in me when Mother’s Day rolls around on the calendar, I celebrate that day because I am a mother. I am blessed with three incredible adult children. I am loved and respected and honored by those three. This year Mother’s Day brought another first. It was the first time I shared the day with one of my daughters who celebrated her very first Mother’s Day as a mother to our precious granddaughter. Papa cut a sprig of fragrant lilac from the bush in our yard and he and I helped our sweet grandbaby awaken her mommy with a card and little gift for her very first Mother’s Day celebration. My first Mother’s Day as a grandmother will be added to that memory pool with joy and contentment. And the knowledge of being privileged to spend it with my daughter and adorable grandbaby. Even though my other children couldn’t be here to share this special day, I know they were thinking of me. Their love arrived in phone calls, cards, and beautiful flowers. And love surely was expressed in my granddaughter’s smiles and coos.